We were approached by a private client in Chichester who was looking to incorporate an indoor house lift within their home. Chichester is a cathedral city and the county town of West Sussex, situated on the Southern edge of the South Downs National park close to the popular seaside town of Bognor Regis. As with many of our clients they were looking to future-proof home - lifts are becoming more common in the home and can even be a necessity in order to sell a house in some areas. The client wanted an indoor house lift that matched the modern aesthetics of their home and would like stylish against the light and airy appearance throughout the house. 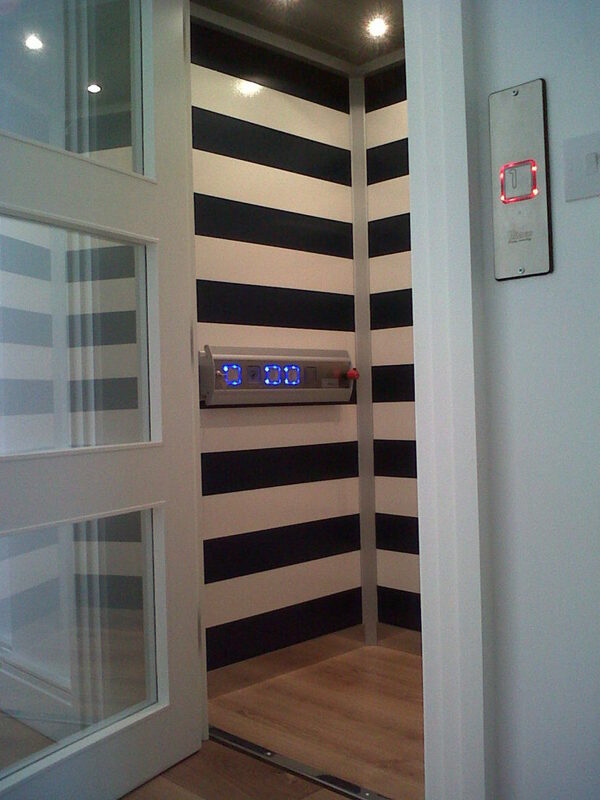 We installed the indoor house lift in its own purpose built shaft that connected the ground floor hall and the first floor landing. The lift's cabin measures 900mm x 12500mm. The lift travels a total distance of 2800mm across 2 floors with lift entry on one side and has a safe working load of 300kg. 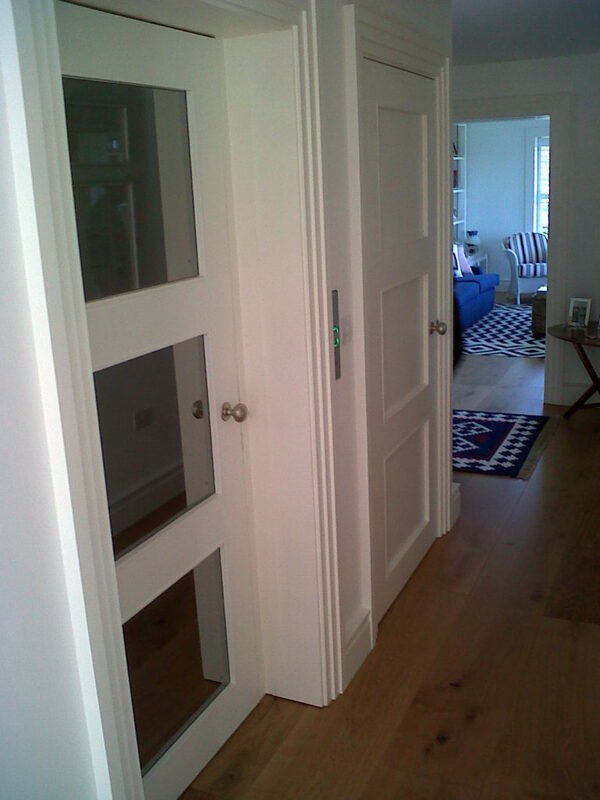 The house lift was finished with white doors with dark glass panels to match the modern appearance of the client's house. The client then painted the cabin in a stylish monochrome design with white and black horizontal stripes. 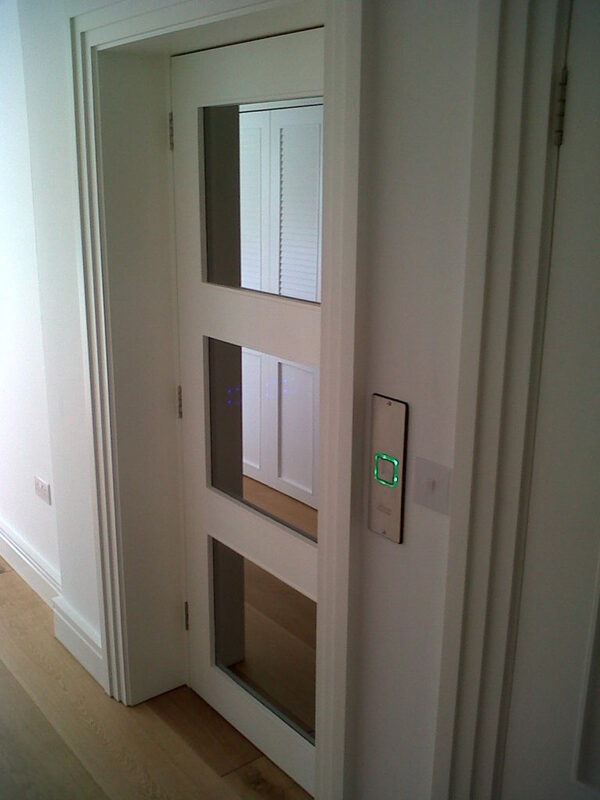 To see more examples of our domestic lifts by clicking on the following links: Residential Glass Lift in Bosham, Home Platform Lift in Whitecliff, Small Passenger Lift in Mayfair, Glass Home Lift in St John's Wood, Glass Lift in Flats in Weymouth and Outdoor Glass Lift in Branksome.